Although fast food chain Chick-fil-A has pretty much commandeered Cow Appreciation Day for their own promotional purposes, we're still 100% behind a day that celebrates these often-overlooked but amazing animals! Now most of us have never had the pleasure of owning a cow, but these emotionally complex and gentle creatures certainly deserve our appreciation and respect. In light of Cow Appreciation Day (traditionally held in July), we've compiled some interesting cow facts that will help you hold cows in higher esteem. 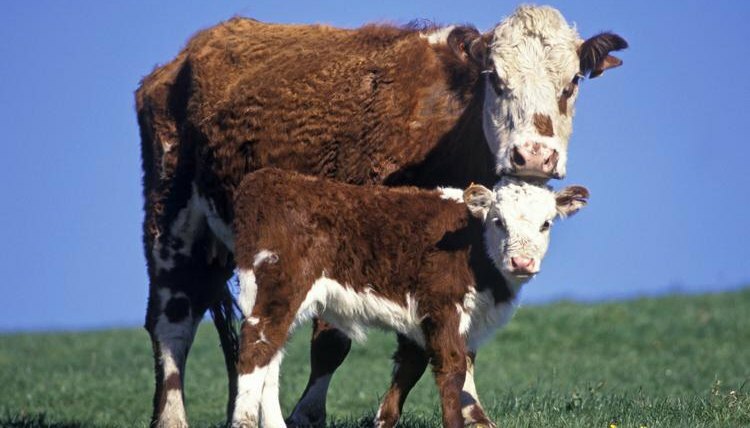 The results of a study by Krista McLennan at Northampton University suggest that cows are capable of forming emotional bonds with other cows. The researchers measured significantly different stress levels (indicated by heart rate and cortisol levels) between cattle who were placed in a pen alone, those penned with their "best friend," and those in the company of another cow they didn't know. As you've probably already guessed, the cows who got to chill in the pen with their bestie had lower signs of stress than the cows who were alone or stuck with any old random cow. Research also shows that cows are very socially complex creatures that maintain a pecking order within their herds. When lining up to feed, they'll consistently do so according to their pecking order. "Boss cows" are at the top of the ladder, and everyone makes sure that they're always first in the food line. What's more, these boss cows will only hang out with other boss cows, and likewise, "mid-level" and "lower-level" cows pretty much spend all of their time with those at their own "level." Basically, cow social structure sounds a whole lot like high school. Not only is there evidence that cows are capable of solving some relatively complex problems, but they may actually enjoy doing it! A 2004 experiment conducted by Cambridge University researchers suggest that cows expressed "excitement" in the form of jumping, bucking, kicking and/or elevated heart rate when they were able to solve a problem that involved getting to food. The cows who had to solve a puzzle (that is, press a panel) in order to get to the food exhibited more excitement than cows who were given food without having to strain their noggins. This presents evidence that cows, like humans, can also derive pleasure from an "a-ha" moment!